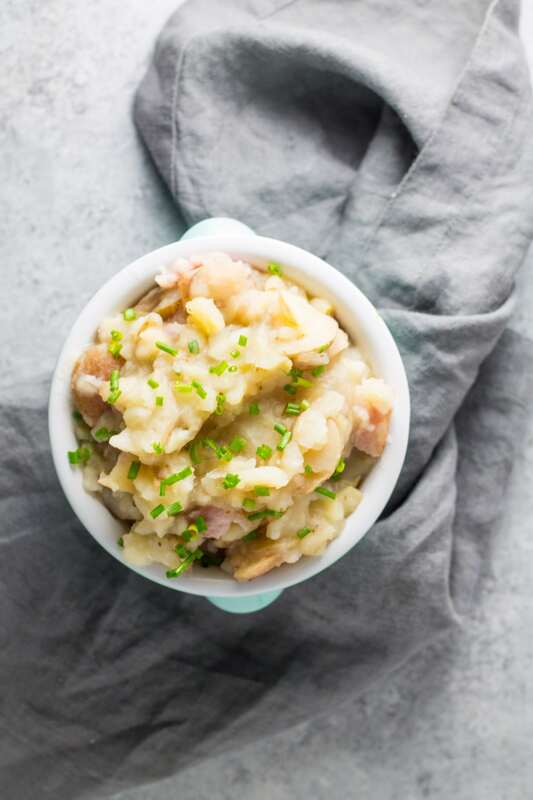 Sweet, sour and served warm, this Low FODMAP German Potato Salad is a hearty, slow cooker side dish that’s perfect for the cold weather months. Growing up in a predominately German-American community, German Potato Salad was a staple at most gatherings. Unlike American Potato Salad which is often mayo-based and served cold, German Potato Salad is more sweet and sour and served warm. 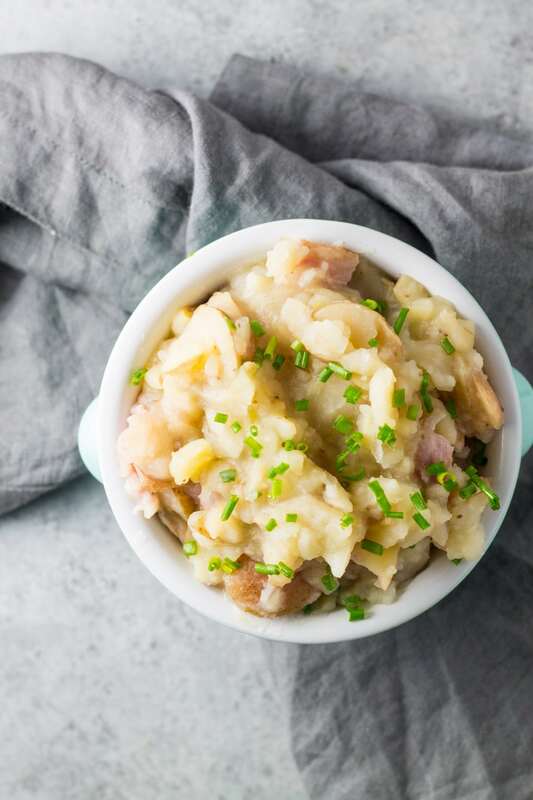 It typically contains garlic and/or onions, so I’ve modified this hearty side dish to be low FODMAP, but still delicious and reminiscent of the traditional recipe. 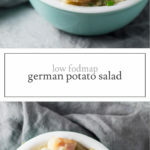 I’ve also made this Low FODMAP German Potato Salad a little more hands-off with the help of a handy-dandy slow cooker. Enjoy! Place potato slices in a slow cooker and top with water. Cook on low for 5 hours or until potatoes are fork-tender. Using a slotted spoon, remove potato slices from slow cooker and place on a plate. Set aside. Turn slow cooker heat to high. In a small bowl, whisk together vinegar, tapioca starch, sugar, celery seed and salt until smooth. Add mixture to water in slow cooker and stir until it starts to thicken and continue to cook for about 5 minutes. Add cooked potatoes back to slow cooker and stir to coat with vinegar mixture. Add bacon crumbles and cook for an additional 30 minutes. Serve warm topped with minced chives. 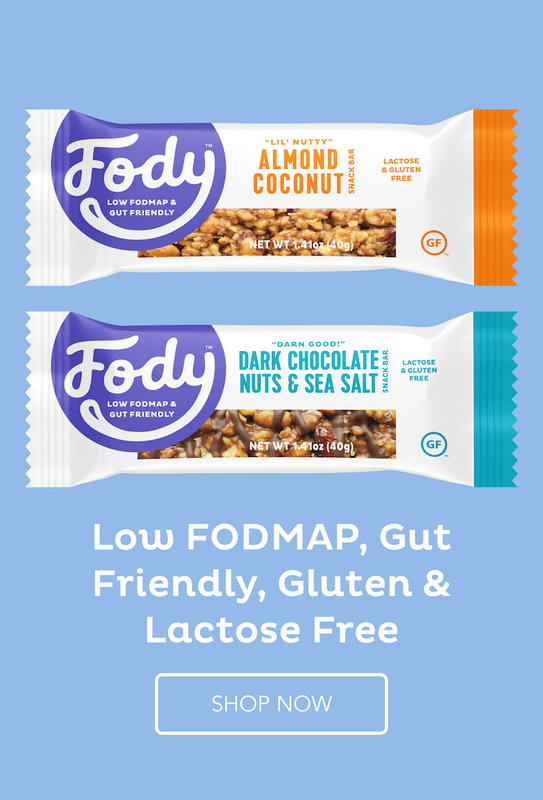 Celery Seed: This has not been tested for FODMAPs. 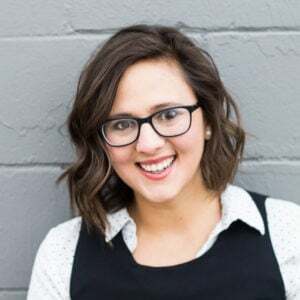 The small amount used is not believed to trigger symptoms, however, there is always the possibility that it may not be tolerated by all individuals.